On Saturday June 23, 2012 Asian Pacific Americans for Progress, a national network of progressive Asian Americans, Pacific Islanders and allies (www.apaforprogress.org) is organizing a live online one hour nationwide townhall to discuss hate crimes and bullying. Leading APIA civil rights leaders will be participating in the national online Townhall including Congressmember Judy Chu, OCA Executive Director Tom Hayashi and more. Asian Pacific Americans for Progress is looking for cities to help host viewing parties to be a springboard for groups to also talk about local issues after the one-hour presentation is done. 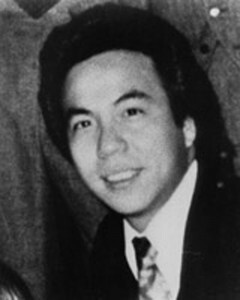 In 1982, Vincent Chin was the victim of a hate crime murder in Detroit. Thirty years later, Asian Americans and Pacific Islanders continue to face discrimination and bullying. In fact, more than half of Asian Americans report being bullied in the high school class room, the highest of any racial group. In light of recent tragedies like the suicide of Pvt. Danny Chen and the continuing effects of 9/11, what can Asian Americans and Pacific Islanders do to stand up against racism and discrimination? - Parker J Palmer, author, educator, and founder of the Center for Courage & Renewal. Dr. Palmer directed the above quotation at leadership and democracy, but I think it applies to how you should manage your business and life too. Violence in business and life thankfully does not usually degenerate into physical force, but the above concept is instructive in how we deal with all our challenges. When we have a life or business challenge, do we narrow our focus to how we can get out of the immediate circumstance, or do we expand our vision and strategy to learn how we can improve the results for this and other situations? With a challenge is looming in front of us, it is easy to fall back into a reflexive mode. We want to make the problem go away immediately, but a decision made in haste or from anger is less than ideal. The flight or fight instinct is activated and to respond aggressively or retreat without full consideration of the options, often prove to be worse than the initial situation. The ruling, issued on March 21st, centered on the environmental impact report (EIR) and whether or not it complied with the California Environmental Quality Act (CEQA), the state regulations protecting historic sites threatened with demolition. A panel of three judges invalidated the EIR and the subsequent approval of the project having found that the City failed to consider reasonable alternatives to the proposed building plans and location. Also, it was decided that the EIR contained insufficient analysis for the City to consider accurately the environmental and cultural impacts of the proposed development. The Court of Appeal’s decision will cancel any construction permits issued based on that EIR. Any new EIR will require additional public review. Vote for your favorite video in the White House AAPI "What's Your Story Video Challenge"
More than 200 videos were submitted by members from the AAPI communities to a video challenge called "What's Your Story" sponsored by the White House Initiative on Asian Americans and Pacific Islanders. Here are the top eleven finalists. You may vote only once, for one of these eleven video entries. The deadline to vote is March 1, 2012. A group of finalists will be selected to come to the White House in March, 2012 to share their stories at a White House Champions of Change event. White House staffers Eddie Lee, Associate Director, Office of Engagement, and Miya Saika Chen talk about the "What's Your Story" video challenge. New Asian American super PAC fights GOP Senate candidate Pete Hoekstra's controversial ad. Actress Lisa Chan apologizes. A new super PAC is demanding an apology from GOP Senate candidate Pete Hoekstra for the broadcast of his controversial ad in Michigan on Super Bowl Sunday depicting negative stereotypes of Asian Americans. The ad shows an Asian female speaking in broken English, cycling through what appears to be rice paddies, "Your economy get very weak. Ours get very good." Actress Lisa Chan apologized for her involvement. The recent UCLA graduate wrote on her Facebook page,"I am deeply sorry for any pain that the character I portrayed brought to my communities." “In an age where virtually all Americans have moved forward on race relations, it seems Congressman Hoekstra has taken a giant step back. We are here to say we are not going to put up with it. We are here to tell him we are outraged and demand an official apology," said Jesse Tangkhpanya, the national political director for the American Values super PAC. In addition to the Super Bowl ad which was aired in Michigan, the GOP Senate hopeful posted a website accusing GOP rival candidate Senator Debbie Stabenow, (D-MIch.) of supporting deficit spending. The Hoekstra campaign website www.DebbieSpenditnow.com showed the Superbowl ad, with Chinese characters, paper lanterns and dragons. Amidst the firestorm from members of the AAPI community and mounting pressure from both Republicans and Democrats, the ad has been taken down. It is off Hoekstra's Facebook page, YouTube channel, and the website now reverts to Hoekstra's Senate campaign site. The day after the Super Bowl Hoekstra was asked by Fox's Megyn Kelly whether his Super Bowl ad depicted an unfair stereotype referencing the actress' faked broken dialect. Hoekstra replied,"It's not a stereotype at all"...."Through the creative (design of the ad) this is a young woman in China who's speaking English. That's quite an achivement."... "There's nothing in here that has a racial tint at all," Hoekstra said.